Note: This product is restricted to TX. • Proactively Guards Against Equine Gastric Distress. • Buffered Formula Soothes and Coats The Stomach Lining. • Contains Calcium and Magnesium. • Kills Bacteria and Fungi That Cause Thrush and White Line Disease. • Promotes Healthy Tissue Growth. • Does Not Sting, Stain Or Dry Out The Hoof. • Does Not Contain Formaldehyde. • Maintains Moisture Balance and Prevents Cracks. • Unique Formulation Of Nine Therapeutic Ingredients. 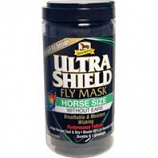 Specially-designed to provide maximum protection for your horse. Provides superior uv protection and maximum visibility. These fly masks are made of a unique rip-shield material that acts as sunglasses for horses. Double strap safety releases heat-reflecting material and new easy-catch loop for leading to and from pasture. Guaranteed to last one fly season. • Eco-Safe For The Entire Family and The Environment. • The First 2-In-1 Shampoo and Conditioner Especially Formulated For Horses. • Cleans and Restores Brilliance. • Pro-Vitamins Rejuvenate Dull Coat and Strengthen Hair. • Conditioners Nourish Coat and Skin. • Sulfate and Paraben Free and Ph-Balanced For Horses Sensitive Skin. • Coats Hair Shaft For Tangle Free Manes and Tails. • Accentuates Body Tone and Definition. • Prevents Stains and The Collection Of Dirt and Dust. • Produces Finest Show-Ring Shine. • It's The Hardest Working Insecticide-Repellent Around It Can Even Be Used On Dogs. • Quick Knock-Down, Kills and Repels. • Enriched With Silk Proteins To Revitalize Coat, Mane and Tail. • Formulated With Vitamin E and Panthenol. • Spf 8 Provides Long-Lasting Protection From The Sun. • Saddle-Area Safe. Repels Dust and Dirt. 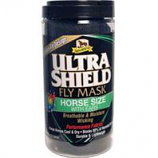 • The Most Advanced, Ready-To-Use Fly, Mosquito and Tick Repellant Available. • Sweat Resistant and Weather Proof. • Insects Are Killed and Repelled For Up To 17 Days. • Kills and Repels Mosquitoes That Can Transmit Viral Infections Like The West Nile Virus. • Water-Based. Contains Two Sunscreens To Extend Repellent S Effectiveness. • Use On Horses, Ponies, Dogs, Stalls and Bedding.